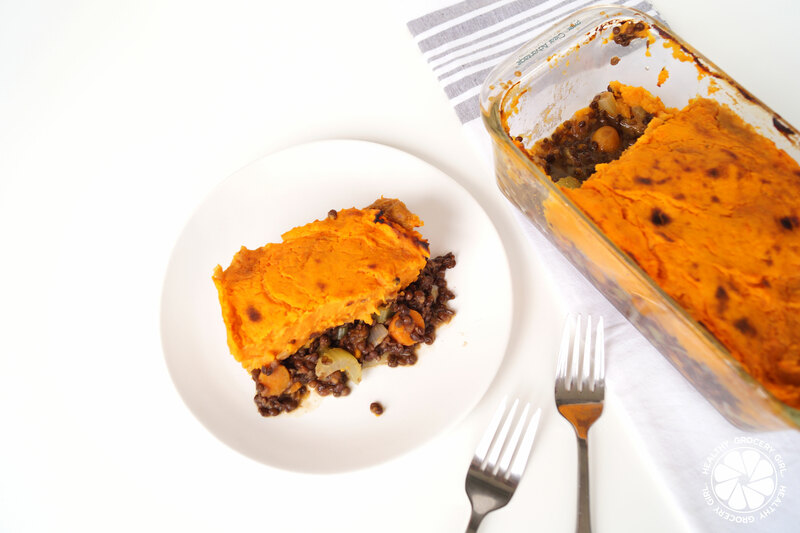 If you’re in the mood for comfort food that doesn’t set you back then you will love this easy Sweet Potato and Lentil Shepherds Pie! 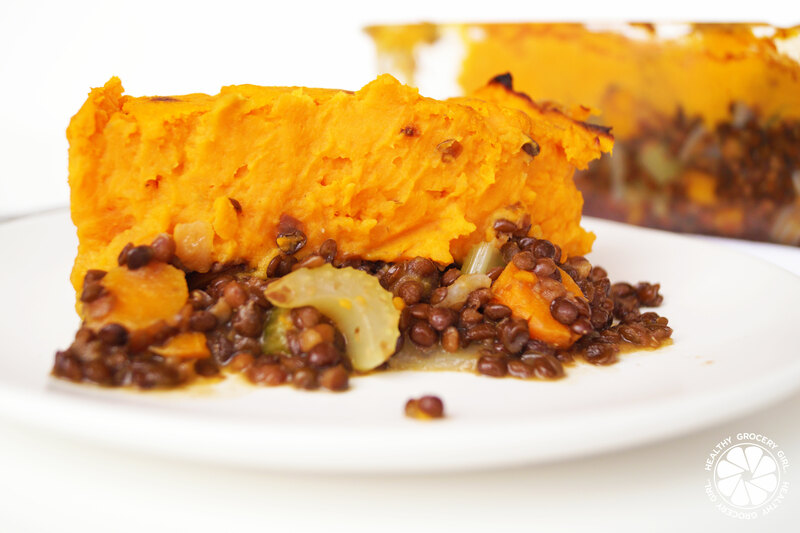 Lentils are one of the highest protein beans, packing 17 grams of protein per 1 cup serving! Sweet potato are full of fiber, vitamin C and provide that creamy, comforting experience we love without any guilt. I hope you’ll give this recipe a try! Thanks for stopping by the HGG Blog today! Don’t forget to use #HealthyGroceryGirl on social media if you make + share a pic, your photo could be featured! Comfort foods that's also nourishing!